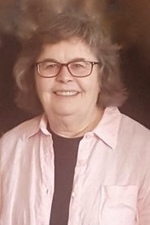 Dr. Mary Rose Brogan, 70, Durham, Connecticut passed away on Sunday, July 29th, 2018. Born in Peckville, Pennsylvania, Mary Rose was the last surviving member of the children born to the late John F. Brogan and the late Sally E. O'Connor Brogan. She was also preceded in death by her older brother, John F. Brogan Jr., and his wife, Karen M. Brogan; and by her younger brother, Francis J. Brogan. She obtained an undergraduate degree from Marywood University, followed by graduate work at the University of South Dakota, where she earned a Ph.D. in Clinical Psychology. She later earned Board Certification from the American Board of Professional Psychology. Mary Rose was loved by her nieces, nephews and family for her empathy, wisdom and guidance, quick wit, genuine hospitality, unfailing patience, and humility. Her dedicated caregiving to family members was legendary, respecting their wishes and dignity. Mary Rose also approached the self-appointed duty of family historian with her typical precision, insight, and ingenuity. She enjoyed gardening and loved an intellectual challenge, from the critically important challenges associated with improving care for the patients in her charge, to the more mundane household challenges associated with fixing a toilet or installing a dimmer switch. Surviving are her partner, Dr. Faith-Anne Dohm, Connecticut; a nephew, two nieces, a great-niece and great-nephew: John M. Brogan and partner, Manuela D'Andrea, Switzerland; Julie Lira and husband, Oscar, and their daughter, Eva, Florida; and Dr. Kathryn Hartlieb and husband, Kurt, and their son, Kurt IV, Florida. Dr. Brogan was well-respected and influential in her field, and she brought care and respect for others to all of her professional work. At Connecticut Valley Hospital (CVH), she established the first modified self-determination therapeutic community for women living with acute mental illnesses. She also worked with geriatric patients and provided pro-bono consultative services to Gilead Community Services. She trained psychology interns and psychiatry residents, and was the Associate Director of CVH’s psychiatry residency program. Dr. Brogan trained medical students and was appointed to the clinical faculty at Yale University. For a decade, she served on the Connecticut Psychological Association's ethics committee, and she was a member of the State Mental Health Board subcommittee focused on the needs of clients in boarding and nursing homes. Dr. Brogan was dedicated to improving services for the seriously mentally ill in Connecticut. As Chief of Psychological Services at CVH, Dr. Brogan was instrumental in the re-organization of the hospital in preparation for patients' placement into community settings. Recognizing the need for adequate community resources, she wrote a grant to establish River Valley Services (RVS), which became the lead mental health authority of Middlesex County. She became the first person appointed as Associate Director for Clinical Operations at RVS, which involved oversight of all clinical services and staff. In that role, she implemented a successful risk management program that has long ensured the safety of clients and the community. She also led RVS to its first, and two subsequent, JCAHO accreditations. The continuous quality improvement and risk management strategies developed by Dr. Brogan at RVS attained national significance. She was a psychologist sought out by private practice clients for therapy and by other psychologists for clinical guidance, help with ethical dilemmas, and therapy. She exemplified the standards to which all psychologists should aspire. A memorial gathering of family and friends will be on Thursday, August 9th, from 9 a.m. to 11 a.m. at the Arthur A. Albini Funeral Home, 1003 Church St., Jessup, Pennsylvania. Interment, St. Patrick's Cemetery, Route 6, Blakely, Pennsylvania. To send flowers to the family of Mary Rose Brogan, please visit our Heartfelt Sympathies Store.